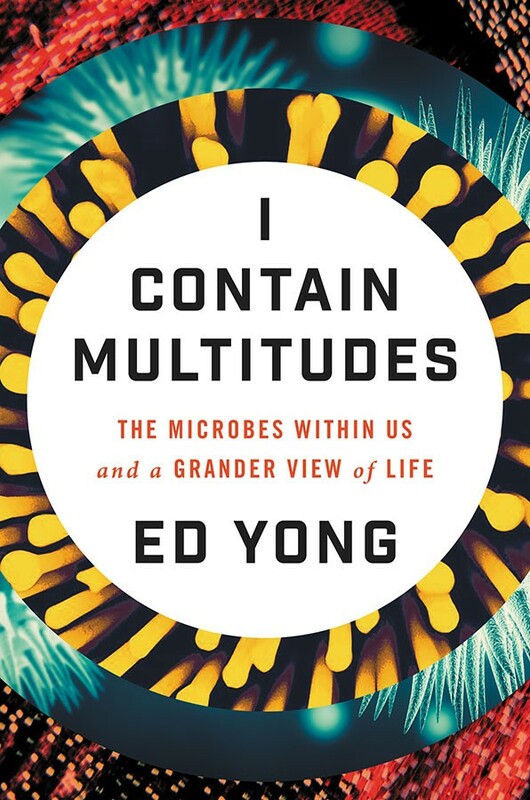 In his remarkable first book, I Contain Multitudes: The Microbes Within Us and a Grander View of Life, science writer Ed Yong asks us to consider the humid forests of our armpits, the arid deserts of our forearms, and the dark caves of our bowels, all of them teeming with life. 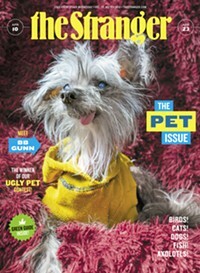 "It can be weird to think about our body parts as rolling landscapes," Yong admits, but if we follow his vision, which he lays out with clarity and conviction, the results are transformative: "We can compare the gut of a person with inflammatory bowel disease to a dying coral reef or a fallow field: a battered ecosystem where the balance of organisms has gone awry." Perhaps it should be no surprise that Yong, who chose to invoke Walt Whitman in the book's title, writes in energetic, generous, and visceral prose. I Contain Multitudes is a deeply researched book—nerdy and technical, with a Notes section that is its own odd pleasure to read—but Yong's words also pulse and glow with carnality and wonder. A Japanese stinkbug covers her eggs in a beneficial and bacteria-rich mucus, which Yong describes as "a ball of jellybeans frosted with the world's most revolting icing." (Turns out passing microbes down to the next generation is one of the more important jobs of parenting.) When the insects hatch, they swallow their way out of the thick white mucus, ingesting the first serving of the gut microbes that will be their constant companions through life. "Put aside your disgust for a second and think about how significant that moment is," Yong urges. "In that first mouthful, each young bug transforms from an individual into a colony of multitudes; from a sterile body to a thriving ecosystem." We live in an antibacterial culture (hand sanitizer, anyone?) that fears and vilifies germs, prioritizes human needs at the expense of all other life forms, and has developed an astonishing resistance to nuance. Yong, along with the many scientists and researchers whose work he champions, demands that we put aside these myopic and dangerous ideas. The discovery of microbes in the 1630s by Anton Van Leewenhook, a Dutchman who had no scientific training but who was blessed with a talent for making microscopes and also the curiosity to look at his own dental plaque through them, was a joyous and revelatory event. But by the late 19th century, after the spread of several diseases were linked to certain germs, Yong explains that bacteria were recast as symbols of illness, uncleanliness, and death. That bad reputation persists today, even though dangerous pathogens make up a minuscule fraction of microbial life. We hear all about the ravages of E. coli, but almost nothing about the marvelous work of B. infantis which, fed by breast milk, helps build up a newborn's digestive and immune systems, or Wolbachia, a bacterium that gives female wasps the ability to asexually clone themselves, thereby rendering males useless. If we could get our heads out of our asses (or, perhaps, if we shoved them a little farther up there and looked around with a microscope), we might see past our prejudices and take in a new and expansive view of the world. There are more bacteria in your bowels than there are stars in the galaxy, and you ingest about a million microbes with every gram of food you eat. Microbes far outnumber us and predate human life by literally billions of years—it's we who are late to the bacterial party. Yong deftly places human evolution in a larger, more complex context of microbial and animal life. I Contain Multitudes will alter your perspective on your place in the world, as well as within your own body. But it might also offer a revolutionary perspective on our society and our individual places within the body politic. Power in the United States still relies on the myth of rugged individualism—and on keeping in shadowy silence the labor that built and continues to sustain our country. In our current political and cultural climate, the loudest voices decry the "political correctness" and "hypersensitivity" of marginalized communities, as though their existence, contributions, and concerns about our society are something new. "Microbes matter," Yong insists. "We have ignored them. We have feared and hated them. Now, it is time to appreciate them, for our grasp of our own biology is greatly impoverished if we don't." He could easily be writing about black and brown lives in America.